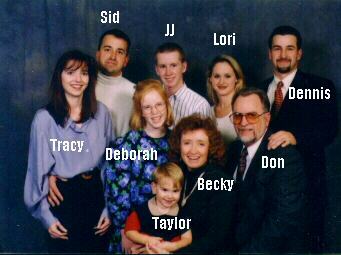 Sid and Dennis are married to Tracy and Lori and live in Texas. Grandson Taylor and his brother Austin (not pictured) are Sid and Tracy's children. JJ and Deborah are with their parents. In 1998 Don & Becky moved from Dhahran, Saudi Arabia to Houston, Texas. They must enjoy the heat!